Description: NO MAGAZINE SALES INTO NEW YORK CITY. CONNECTICUT RESIDENTS MUST FURNISH US A COPY OF YOUR CT ELIGIBILITY PERMIT OR AMMUNITION CERTIFICATE.This listing is for ONE magazine. Here are replacement magazines for Mossberg 190 series Bolt Action shotguns chambered in 16 gauge. Manufacturer and warrantor is Triple K Manufacturing of San Diego. Construction entirely steel, with folded steel one piece body closed with welded back piece guide, 3 weld floorplate with detachment wings, stamped steel shell follower, and bench tested steel spring. Each magazine holds 2 rounds of 16 gauge, 2 3/4 inch shotgun shells. 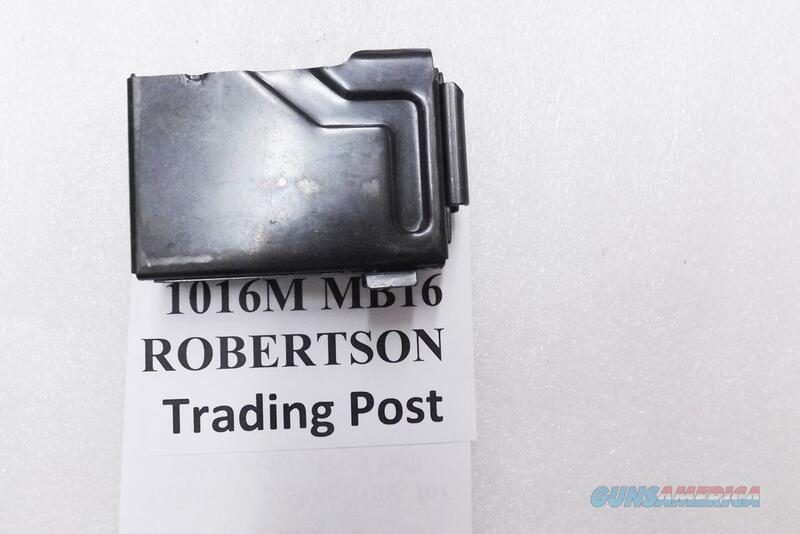 This magazine fits Mossberg models 190, 190A, 190K, 190KA, 190KB, 390, 390T and 390TK. It will also fit Western Auto models 316, 316BB, and 316BK chambered in 16 gauge. We're offering the Triple K Mossberg 190 series, 16 gauge 2 shot magazines in the photos each	for only	$ 29.00. No sales into NYC; CT residents must furnish state permit copy.